November 16, 2018 – Tracy Scheller, MD, has been appointed medical director of the Graf Center for Integrative Medicine at Englewood Health and has joined the Englewood Health Physician Network. Dr. Scheller is board certified in obstetrics and gynecology and has been an attending physician at Englewood Hospital for close to two decades. Her clinical interests include gynecology, integrative medicine, infertility, menopause, women’s wellness, nutrition, and weight loss. 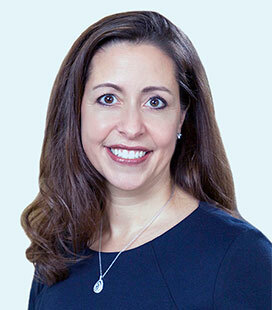 In addition to her role as medical director of the Graf Center, she will continue her gynecology practice in Englewood. Under Dr. Scheller’s direction, the Graf Center offers safe, evidence-based services, including acupuncture, therapeutic massage, wellness coaching, nutritional counseling, yoga, Reiki, and stress management. These therapies have been shown to help minimize nausea, reduce pain, and relieve stress and anxiety. The center’s team of licensed and/or certified practitioners work closely with a patient’s doctor to establish a wellness plan. Dr. Scheller received her MD from the University of Texas Health Science Center at Houston Medical School, followed by an obstetrics and gynecology residency at Memorial Hermann–Texas Medical Center. In addition to her MD, she holds an MBA from the University of Houston and an MS in human nutrition from Columbia University’s Institute of Human Nutrition. She is currently pursuing an integrative medicine fellowship at the University of Arizona Center for Integrative Medicine. She is a fellow of the American College of Obstetrics and Gynecology and has been a principal investigator on a clinical trial for osteoporosis prevention.